Photography is something, that portrays something ordinary as Extraordinary. Yes, that is what is the basic motto of Photo science. As a photographer, you must understand the importance of Photoshop. Photoshop is the most versatile and the most widely used photo editing tool around, and is used for a lot of purposes, may it be refining the photograph, some photography cheats, and adding a lot of effects to the photographs. By effects, we don’t mean adding the exposure and all, but creating a wow factor in your own photograph. Like as we see on the instagram and other photosharing sites, but the quality of the effects that you produce from photoshop is so damn better and crisp than those simple basic stuff. The crispness in the image is produced with the help of these, and you can expect a lot of good stuff from the same to happen. Now, you must be wondering how the hell do you create such effects. Well, we have a lot of tutorials on the internet teaching you to do the same. And now, you wonder, well how the hell do I even know how to use photoshop. Don’t worry, these tutorials contain everything. From start photoshop, to loading the image files into it, and then using the right tool at the right place and time, and almost everything, that will be required for you to do it. 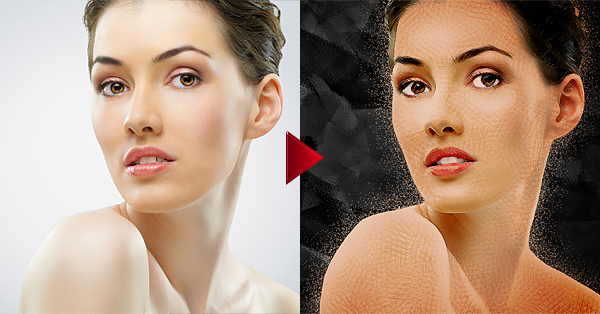 Once you learn from these Photoshop Photo Effect Tutorials, you may even become so creative, that you might not even need them anymore.